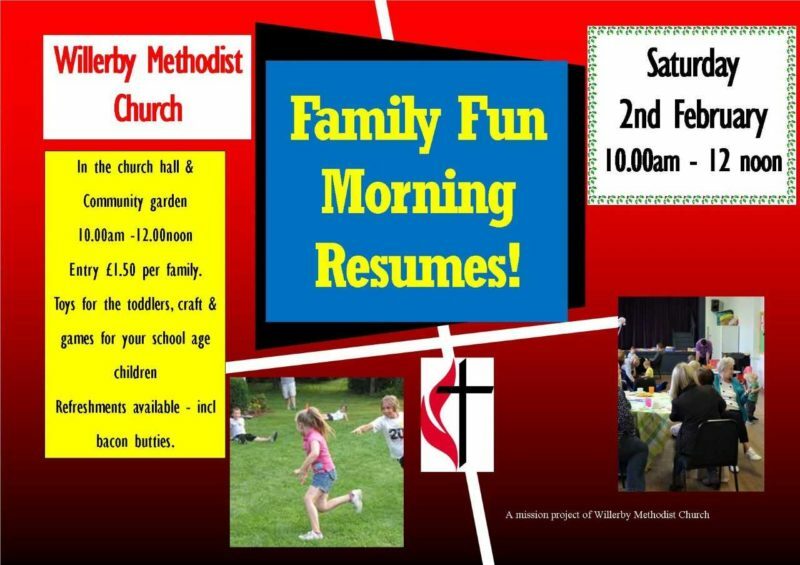 Willerby Methodist Church hall. 10am – 12noon. Come and get out of the winter weather! A morning of activities for your young ones. Toddlers up to Year 5 or 6. We have toys for the toddlers and craft, cake decorating and activities for your school age children. Entry is £1.50 per family. Refreshments are available, including toasted tea cakes or bacon butties! All welcome!